Earth colored pigments actually consist of ground earth, often named after where they were found (burnt siena comes from Siena, burnt umber was found in Umbria). In time, because of the painting recipes delivered from teacher to student, these colors became like icons or irreplacable ingredients. 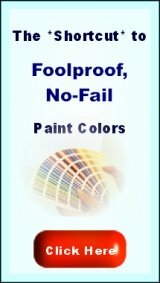 The earth color names are the same in all the major acrylic and oil paint brands. Most of them are synthetic, but they are just like the natural earth colors based on iron oxyde. These imitations are chemically very close to the natural thing, and just as stable. These are great for setting up a painting. Their colors are moderated and still susceptible for change. So, you can have color, but they won't dominate badly. In the old days, earth tones where used for underpainting because they were cheap. But they are also very good for setting the mood for more or less realistic version of perception. 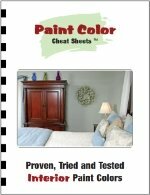 This list was defined throughout the ages - every earth color had its own specific use. Click here for some underpainting examples. Using this kind of underpainting creates depth, and it makes you need less of the bright, more expensive colors. Earth colors are important in oil painting techniques for two reasons: chemical stability, and providing a natural basis (in terms of color). 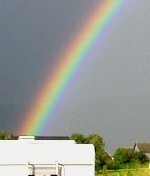 Imitations and natural earth pigments lie very close together - natural earth pigments are colored by iron oxydation, a process that's easily reproduced in a lab. Manufactured iron oxyde oil painting colors are very stable as well. Underpainting techniques are usually done with earth colors, because they provide the painting with a natural basis. Every earth color has it's own function, in this respect, which was developed through the ages. If you use one earth color and white, to tone your other (prismatic) oil painting colors, it connects the other colors and makes them look natural. The earth tone functions as a unifier. Earth colors are simple paints, and the cheapest ones will do just fine. Amsterdam Oil Colors - these are big tubes of 200 ml, about 7,75 dollars a piece. This brand forms about half of my stock colors. Its green earth (terre verte) is an imitation, but a good one. 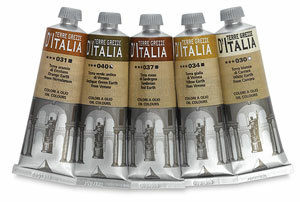 For real earth pigments, check Maimeri Italian Natural Earth Oil Colors . I haven't tried them yet, but they look nice (60 ml for 6 bucks). "Antique green earth" is a beautiful dull green earth, "brown earth from Florence" means: raw umber. Two shades of yellow ochre. For the earthy feel, take the darker one. Halas: no burnt umber. Better skip the 'white earth', this pigment (chalk, really) is often applied as a filler and has very little hiding power. For Caput Mortuum (a purple earth tone, also iron oxyde), you'll have to turn to Rembrandt colors (scroll up). These are classical painting techniques, for creating realistic effects, and to create a painting system in which you slowly build up a scenery. But it can very well be used in new painting styles. Imprimature and underpainting create a natural basis in your painting, which creates a great basis for stronger colors. With underpainting you can create a specific atmosphere in your work. When you paint alla prima (that means: in one go), you can also mix some earth colors through your prismatic colors to tone them - unless of course, when you like really strong hues. If you paint a certain scenery, try mixing one kind of earth tone through all your other colors, and you'll see they suddenly harmonize easily. The red car suddenly 'fits' into the brown-and-green street. Extra light and shadow effects can be done by adding black and white. For this purpose, you'll probably want to choose one of the browns. What kind of brown, depends on the kind of atmosphere or weather you want to have. Burnt siena (warm brown) or yellow ochre does great in contrast to a blue sky, and raw umber will give a more moderated look. 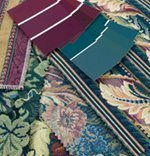 Earth colors don't just get lighter when you add white to them - their look-and-feel also changes. Adding white makes them a little more neutral and cold. Especially when you paint them thick and hiding. When you paint them pure in an transparant way, they glow up - yellow ochre becomes a golden yellow, burnt siena turns into a warm squirrel-red. This knowledge was used in underpainting and imprimature. Go outside, and see if you can find some clean sand or soil. Dry it, grind it, add a binder to it, and you'll have your own earthcolored paint. This may sound silly, but I know several artist who work with this concept. Every piece of the earth has its own character - and that shows in the color of its soil. And there are many beautiful earthcolors - in Australia, there's Uluru or Ayers rock, in Surinam there's the red Bauxiet main road... Just pick them up and use them as pigments. Click here for making oil paint, and here for making egg tempera or casein paint.